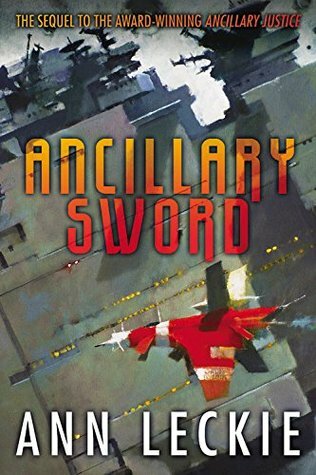 Ancillary Sword, book 2 of the Imperial Radch series, is not quite as awesome as Ancillary Justice–but that’s not actually a bad thing, since “not quite as awesome as its Hugo-winning predecessor” is still pretty freggin’ awesome. In book 2, we’re picking up pretty much right where book 1 left off. Our protagonist Breq has been handed a Mercy and its crew, and has been tasked to protect the Athoek system. While doing that, she has to juggle dealing with a new lieutenant who’s not the baby-faced young officer she appears to be, the potentially hostile officers and crew of the larger ship Sword of Atagaris, making peace with the sister of one of her slain officers from when she’d been Justice of Toren, class conflict on the space station and planetside–and the risk of angering the alien Presger when one of their diplomats is killed. And all of this is happening under the shadow of the threat of civil war across the Radch–by which we mean, war between the factions of the Lord of the Radch herself. There’s certainly no shortage of action, to be sure. At no point in this story was I ever bored. However, by comparison to book 1, I found Breq’s jumping around from event to event in this plot less focused. There’s no one particular big problem she has to solve in this story, and this gives everything a definite “middle book of a trilogy” feel. 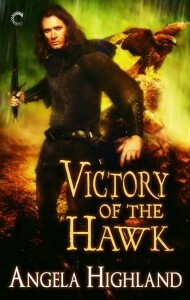 Given how book 1 ended, I came out of this one with an overall impression of the Lord of the Radch having just shunted Breq off out of the way, and a hope that the real action would pick up again in book 3. So is this one Hugo-worthy? Unfortunately, I’m not convinced. It’s really good, but that’s not quite the same thing. It doesn’t really break any new ground that Ancillary Justice hadn’t already covered, and the lack of specific focus to the overall plot detracts from this book’s ability to stand shoulder to shoulder with its predecessor. Still, though, I enjoyed this immensely and will be eager to snap up Ancillary Mercy once it comes out later this year. Four stars. Yet another book roundup post! I need your book recommendations!